Will Wardrobe Engineering Save Mark Zuckerberg? The world waited with great anticipation: Facebook CEO Mark Zuckerberg’s appearance before the Congressional Commerce and Judiciary Committee was finally beginning on April 10, 2018. Zuckerberg was summoned to discuss Facebook’s “privacy” policy and data breaches, which left millions of Facebook users’ personal data exposed to global trolls. Rather than focusing on what Zuckerberg was saying, the media and late night pundits focused on something quite different: The Suit. Zuckerberg had traded in his signature gray tee shirt, blue jeans and sneakers for a more corporate look. Headlines focused on The Suit. The Washington Post headline read: Mark Zuckerberg is one of the suits. Now he’d better learn to get comfortable in one. As the news media clamored to get the best shot of the “new and improved” Zuckerberg, I expected a reporter from E News to pop up ala runway style and ask, “Who are you wearing today, Mark?” To which Zuckerberg would confidently reply, “Marc Jacobs. That’s Marc with a c.” The brilliance of his dazzling smile would shatter the camera lens as he continued walking to the hearing. What the media is paying such close attention to is known as Wardrobe Engineering. Defined as “how clothing and accessories are used to create a certain image,” what image do you think Zuckerberg was going for? The “I’m not guilty” image? The “I’m a successful, responsible American entrepreneur” image? The “You can trust me” image? The “I’m just like you” image? The New York Times called it the “I’m sorry suit.” The Times even created a “greatest suits appearances” slide show just for The Suit. Only time will tell how The Suit is ultimately interpreted by Congress. Every politician, titan of industry and celebrity knows how to effectively wardrobe engineer. We all know that color plays an important role when you represent a certain political party, like how often Republicans wear red and Democrats wear blue. It’s no accident. And red, white and blue, well, that is just so absolutely, positively American, and safe. Then everyone will love you and vote for you, right? Will wardrobe engineering save Mark Zuckerberg, though? It will take a lot more than a stylish suit to convince Congress. Or will it? Watching this event unfold in the national news, I was reminded of my favorite graduate-level course on rhetorical criticism. The course’s book, Rhetorical Criticism: Exploration and Practice, was written by an academic communication scholar and rhetorical criticism expert, Dr. Sonja K. Foss. She defines rhetorical criticism as “a process of thinking about symbols, discovering how they work, why they affect us, and choosing to communicate in particular ways as a result of the options they present.” I remember vividly the moment when I understood the process of rhetorical criticism. It was as if a magic force cleansed my eyes so I could see more clearly and completely. When you look at the world and major events as they unfold, through the lens of rhetorical criticism, every piece of the picture – verbal and nonverbal communication, physical objects, and symbols – all take on a whole new meaning. In her book, Foss emphasizes that rhetoric goes beyond just written and spoken discourse. According to Foss, symbolism is found in all forms of communication, such as “speeches, essays, conversations, poetry, novels, stories, television programs, films, art, architecture, plays, music, dance, advertisements, furniture, public demonstrations, and dress.” And I would add public hearings. In graduate-level rhetorical criticism classes right now, even though it’s nearing the end of the semester, students are sinking their teeth into this juicy news story and extracting meaning from every blink, gesture, vocal nuance, physical stance, room set-up, and yes, attire. Professional image icon John T. Molloy wrote in his 1975 seminal book, Dress for Success, “Dress for the job you want, not for the job you have.” In Zuckerberg’s case, we’ll see where his wardrobe engineering leads him. 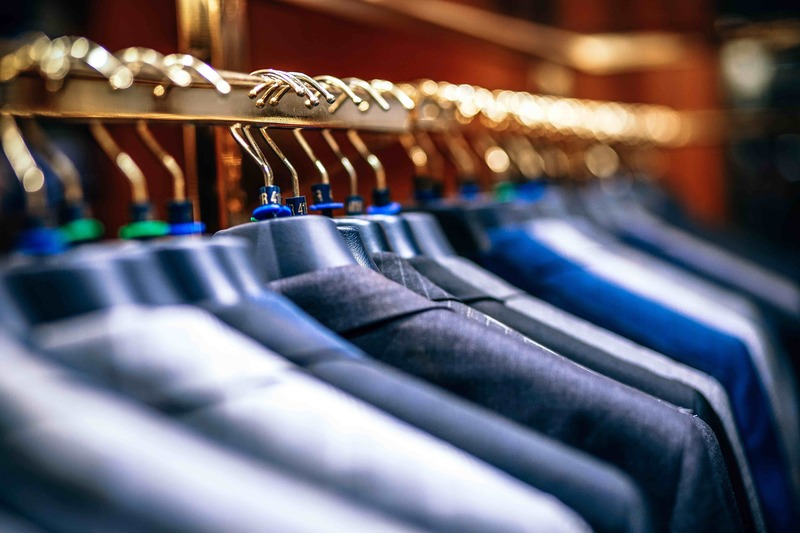 What professionals can learn from this very public hearing is that when it comes to telling your part of the story, it’s not just what The Suit looks like, it’s the meaning behind The Suit. A bigger question to ask is: What captures the essential, most important element: The truth? Your success as a professional comes from building solid relationships. When you are working with someone for the first time, you set a certain tone to help the other person understand who you are, your values, principles, work style, and your worldview. In my career work with leaders and spokespeople for more than 30 years, I emphasize the importance of making a positive first impression. Whether it’s a new Board of Directors, new boss, or new client, you want to set a positive tone from day one. That tone says “I respect you.” “I will take your thoughts into consideration.” “I am here to help you.” Whether in business or politics, academia or non-profit life, there are certain professional standards, ethics, and behaviors to uphold. As I enter my fifth year of providing blog posts on topics related to professional presence, professionalism, strategic communication, brand ambassadorship and leadership, I often turn to the current news for examples. The buzz since Inauguration Day has been around one topic: What is the tone being set by the incoming administration? Herein I provide three lessons on the importance of setting a positive tone. Make your message powerful, positive, and uniting. Words matter. Tone matters. Embracing the importance of the moment matters. Donald Trump’s inaugural address contained some strong negative rhetoric, sounding more like a campaign speech rather than the inaugural address that so many were hoping for. Part of that negative rhetoric degraded the political leaders sitting behind Mr. Trump on the platform, including elected officials, past presidents and Supreme Court Justices by referring to them as a small group of elites. The inaugural address was the time to focus on the future by including messages of unity, not division; lifting up, not putting down. Lesson: If you want to win friends and influence people, begin by starting out on a positive rather than a negative note, and never insult people publicly, especially those who have come before you. Why? Because you need those people. Remain open, not defensive. Being a former spokesperson myself, I tuned into the live television coverage of White House Press Secretary Sean Spicer’s first press conference. The key word here is first. What I saw and heard shocked and concerned me. His defensive body language spoke volumes. He came at the media with both guns blasting, yelling, as he chastised them for the ‘miscalculations’ of the size of the audience on Inauguration Day. He claimed that the audience size was bigger. His language was bombastic, aggressive, and unprofessional. When he was finished, he abruptly left the room, not allowing the media to ask any questions. You see, the White House staff was miffed at the comparison in audience size, since television stations and major newspapers ran a side-by-side photo of President Obama’s 2009 Inauguration Day audience with President Trump’s 2017 Inauguration Day. Clearly, Obama’s audience was much bigger. And rightfully so. It was an historic event. He was elected as the first African-American President of the United States. On that day in 2009, Washington, D.C. Metro stations were jammed. Busses were full to capacity. Hotels were over-booked. It’s historically noted. You can’t change those facts, though this is what Spicer was trying to do, to de-legitimize the media’s reports of the size of the crowd on Inauguration Day. Lesson: There are several lessons here. The first, and most important, is on your first day, your first press conference, you set the tone. Make it positive, not negative. Second, have something important to say. Don’t waste the media’s time with a single trivial message. There was no reason to hold a press conference. Third, control your emotions. Don’t shout at the media. They have power. And they will use that power to call you out. A spokesperson’s role is to communicate factual information in a clear, concise fashion. Uncontrolled emotion does not belong in the room. Admit your mistakes and move on. In a televised interview with Meet the Press moderator Chuck Todd, White House Counsel Kellyanne Conway tried to downplay Sean Spicer’s remarks by using a new phrase, “alternative facts,” which immediately went viral. When Chuck Todd pushed Conway on the phrase, claiming that a more correct phrase to use would be “falsehoods,” Conway flippantly accused Todd of being “overly dramatic.” In all the years that I served as a media spokesperson, I never talked to a member of the media like that. It’s disrespectful. Lesson: Words matter. The moment Conway said “alternative facts,” she was in trouble because there is no such thing as alternative facts. There are just facts. Admit that a mistake was made, and move on. Now, the alternative facts conversation will continue to be covered in the national media and social media for far too many days to come. News flash: There are far more important issues to be discussed. Instead of setting a tone of inclusion and unity, the Trump administration in its first few days in office has unfortunately continued its exclusive, divisive, arrogant tone from its campaign days. So sad!!!! For those of you who follow my posts, you know that I am a thought leader on professionalism in the workplace. I even wrote a book about it. This week, I am using that thought leadership lens to look at the first U.S. presidential debate between Hillary Clinton and Donald Trump. After all, the position of President of the United States is the highest and most professional role that any American can hold. I have shared some of the qualities that the President must possess to represent our country here and abroad, and I have provided a score in each of these categories. You may agree or disagree with my thoughts, and that’s okay. Leadership. Hillary Clinton was the first to extend her hand to Donald Trump for an historical handshake as they both entered the stage. Clinton then walked to NBC-TV news anchor Lester Holt, moderator, and extended her hand. A leader takes the initiative. She set the tone. Score 1 for Hillary. Clarity. For each question that was asked of Hillary Clinton, she answered the question clearly, offering factual information. The majority of Donald Trump’s responses were off topic, vague, or not connected with the question in any way. Quite frankly, he side-stepped most questions. Score 1 for Hillary. Respect. When I think of the leader of the free world, I think of someone who is diplomatic, thoughtful, calm, and clear. 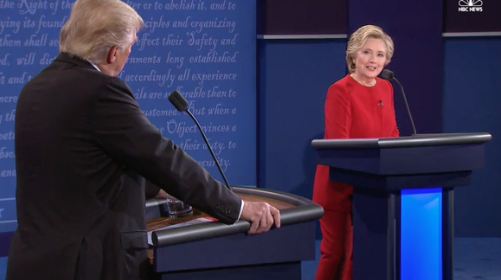 Donald Trump showed disrespect for Hillary Clinton by interrupting (or manterrupting) her 51 times during the 90-minute debate, according to Vox. Debates are carefully structured, allowing each candidate two minutes to answer the same question provided by the moderator, then followed up with a more open banter. Despite persistent interrupting by Donald Trump, Hillary Clinton remained calm and positive. She didn’t roll her eyes or huff and puff or make faces. She remained consistently calm. Trump, on the other hand, made faces throughout the debate. I shuddered to think how such behavior on his part would be interpreted by another world leader. Score 1 for Hillary. Preparation. Sorry, Trump supporters. Donald Trump flunked this test big time. As a communication expert, I teach people how to deliver powerful presentations. The first step in any solid performance is preparation. Answering his first question, Trump revealed his lack of preparation. His rhetoric and ramblings were anything but presidential. Despite what Trump has suggested, Clinton not only looked presidential, she responded as a President would. Why? Because she had prepared for the debate. She has the experience. Some political pundits felt Clinton was over-prepared or too scripted. I don’t share their perspective. She was speaking from her extensive knowledge base. Score 1 for Hillary. Insight. A professional transcends hyperbole and sound bytes to offer deeper understanding, insights, ideas, and solutions. Trump didn’t back up his comments with any solid solutions. Clinton added additional thoughts, insights, and references to specific plans. Score 1 for Hillary. Trust. Trust and trustworthiness has been a huge issue in this presidential campaign. After seeing each candidate perform at this first debate, I had to ask myself the most important question of all: “Who do I trust the most to lead our country as President?” Score 1 for Hillary. There you have it. This is my opinion of who I believe presented a more professional image for our country, based on what I saw, heard and felt during this first debate. Of the two candidates, Hillary Clinton was more professional, better prepared, more thoughtful in her responses, and frankly, more presidential. Donald Trump fell short in all categories. He was ill prepared, non-substantive, vague, and disrespectful. In this first debate, substance trumped shallowness. Let’s see what happens in the second and third debates. Hiring Process. A few years ago, a fellow Baby Boomer shared her experience of interviewing with a government agency. After submitting an online application and resume, she was screened by phone with the hiring manager. About a week later, she received a call from the hiring manager who announced, “Congratulations. You got the job.” My friend was shocked that she was hired without a face-to-face interview. Generational Differences. You may find that the person interviewing and hiring you is 20 or 30 years younger than you. Don’t treat the person like a child. Rather, treat the interviewer like every professional you meet, with respect and as an equal. Language. Whether on the phone or face-to-face, keep your language current. For instance, “employee orientation” has been replaced with “on-boarding.” News flash: Don’t appear to be hip or cool when a Millennial is doing the interviewing by saying, “Whazzuuppp?” You’ll just look (and sound) stupid. Questions. If it’s been a long time since you have interviewed for a job, you will notice the types of questions asked have changed. 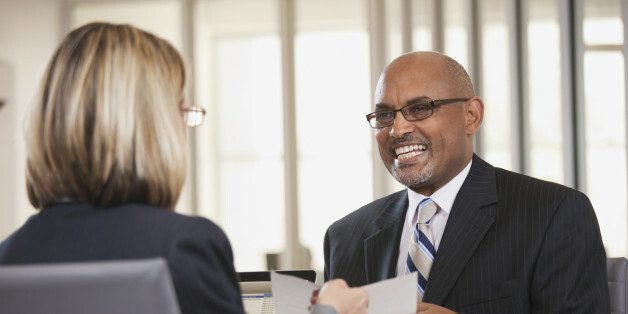 Beyond Old School questions like “Where do you see yourself in five years?,” be prepared for more challenging questions like, “How would you establish your credibility quickly with the team?” Here are a few helpful links to prepare you for the interview: The 100 Top Interview Questions from Monster.com, the Top 14 Interview Questions from CareerBuilder, and the 10 Most Common Interview Questions from U.S. News & World Report. Transparency. Headhunters and Human Resources professionals can verify information about you with a simple click of the mouse, reviewing your LinkedIn profile, Facebook page, Twitter account, and conducting a Google Search just using your name. Position yourself appropriately on all of your social media platforms. Everything that hiring professionals need to know about you appears online. If you have been featured in a news article, it’s there. If you spoke at a national conference, it’s there. If you received a community award, it’s there. Skills. Computer literacy is no longer an option; it is a must-have skill in today’s workplace. Beyond knowing Microsoft Word, Excel and PowerPoint and how to navigate the Internet, understand newer time-saving software or applications. Many companies require employees (for certain positions) to have expertise in social media, like Facebook, LinkedIn, Twitter, Instagram and Pinterest, to name a few. Professional Image. Your outward appearance is one way to demonstrate your level of professionalism. As you mature, remain current in your wardrobe choices so that you look vibrant, vital and stylish.What are you doing to enhance your professional look? What simple, inexpensive changes are you making that will help you look more current and in style? Trends. Beyond keeping up to date on industry trends, know what’s happening in the workplace. Thought leader Dan Schawbel, founder of workplacetrends.com, provides an annual workplace trends prediction as a contributor to Forbes. When you remain current with a fresh perspective and open mindset, and you also possess an extensive knowledge base, your chance of landing that job increases! When was the last time you asked yourself if you were giving your all to your job or your personal life? It’s easy to skim along life’s surface without going deep. What would it take for you to go above and beyond the norm? To feel the satisfaction of knowing that you have done your absolute best? Own your professional presence. 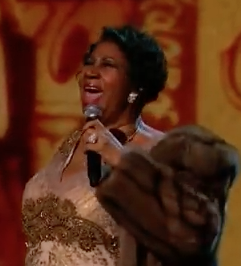 Dressed in a stunning gown and full-length mink coat, Aretha commanded attention as she stepped onto the stage. With confidence and ease, she sat down at a Baby Grand piano, and the applause and gasps got even louder. (I had never seen Aretha seated at a piano; in fact, I didn’t even know she played the piano). She began playing – and singing – (You Make Me Feel Like) A Natural Woman, co-written by Carole King and Jerry Goffin, one of the most soulful, intimate songs to reach the Top Ten charts ever. Put everything you have into it. A woman half her age could not put the same spin on A Natural Woman like Aretha because she was singing her lived experience into the song. There is a reason she’s still called the Queen of Soul; no one else owns the title. Do something bold and memorable. Aretha had the audience in the palm of her hand. Three minutes and 45 minutes into the video clip, she did something surprising that brought the audience to its feet: She stood center stage and dropped the mink coat on the floor, with complete abandon, showing her raw talent and vulnerability as a performer. Connect to the emotion. 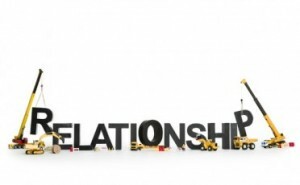 No matter what line of work you are in, when you connect to people’s emotions, your message becomes much clearer and stronger. Everyone felt the emotion of the song. Carole King’s reactions were priceless. When you’ve still got it, flaunt it. Every word Aretha sang, every movement she made was wrapped in graceful elegance. When you are a professional who performs your best, people respond well to you, no matter what your age. When you stand front and center, with an audience of ten or 2,000, how do you present yourself to others? 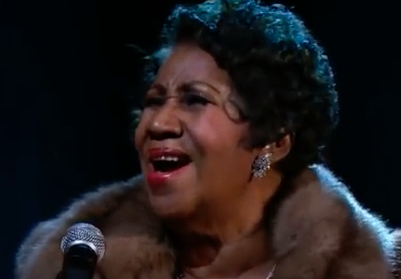 Take a few pointers from Aretha and give it your all.